The mother of a previous client contacted The Billington Partnership to discuss changing her fireplace and electric fire for a more appropriate one in her beautiful London house. 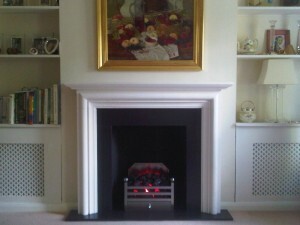 She chose the Gallery Modena limestone fireplace which we installed with slate slips and a slate hearth. 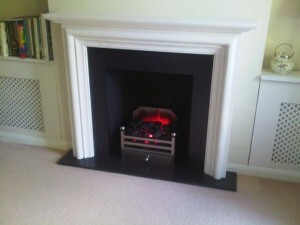 The Modena is a stunning fireplace with an easy blend of a classic lines and a contemporary feel. 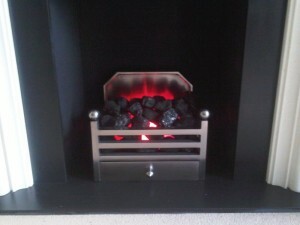 In addition, we fitted an electric fire with the Elan polished basket. The Elan basket is a timeless design that will grace a wide variety of homes and interiors. 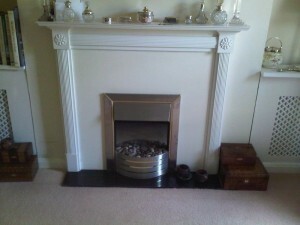 The polished version also gives a more contemporary feel. 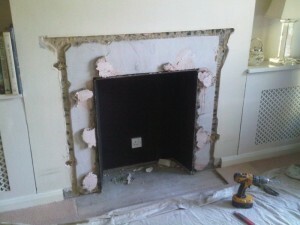 Finally, the finished fireplace completely transformed the room as you can see in the images. 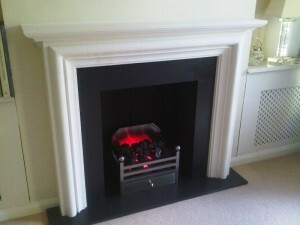 If you are thinking of installing a limestone fireplace, contact The Billington Partnership for advice.